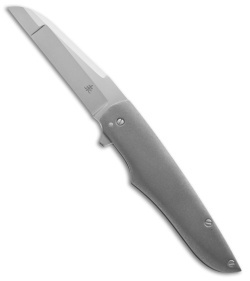 This Wharncliffe Flipper from Jason Clark features a duplex ground blade with a stonewash finish. The titanium handle has a tumbled finish front and back. This folder has an open-build and simply beautiful lines. Like Jason's other flippers, this one is outfitted with a smooth IKBS bearing system. 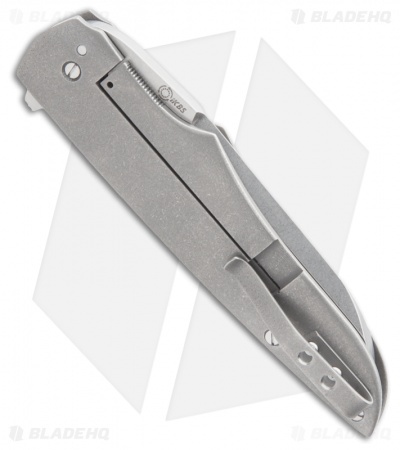 This Jason Clark folder is an excellent choice for everyday carry and comes with a tip-up carry titanium pocket clip.